There’s a startup coming up with a modern twist on the Ars Moriendi, and it proposes you prepare for an afterlife of being a tree – apparently they’re the “world’s first incubator for the afterlife”. 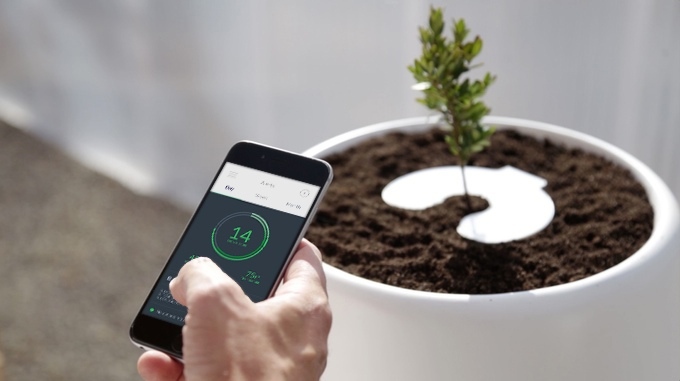 The Bios Incube, by the makers of the Bios Urn, is a monitoring system for trees grown in soil containing the cremated remains of a loved one or pet. While the Incube is a recent creation that’s still under development, the company has been converting ashes into greenery for a while now. The Bios Urn was their first product, and is an essential element of the Incube. The fully biodegradable urn is composed of cellulose, coconut shells, and compacted peat. There’s two separate chambers that form the body of the urn; the upper part holds the tree’s seed while the lower half is where the ashes are contained. The urn is constructed in this way so the seed can germinate well away from the ashes, which could be highly acidic and detrimental to the health of the seed as a result. Over time, the urn itself degrades and the tree’s roots grow into the earth. The Bios Urn has been available as an independent product, and has sold to thousands of people around the world. Its use has made burials more eco-friendly and provided a more sustainable and elegant alternative to traditional methods. The Bios Incube has the biodegradable urn at the centre of its architecture, but also combines it with a system that allows owners to grow the tree close to where they live (or within their homes) and keep a watchful eye on its development. An important element of this system is a 3-gallon reservoir of water held within the 30 x 13 inch body of the Incube. A piece of hardware made up of five sensors – air temperature and humidity sensors, soil moisture, irradiance (reception of sunlight), conductivity, and temperature sensors – is placed at the top of the Incube. Using feedback from the sensors, the Incube is able to water the tree automatically by activating a water pump that taps into its 3-gallon reserve, which needs to be replenished about every 20 days. Given the significance of what’s held in the polypropylene pot, the creators have also made a way for owners to ensure that the tree is growing in the most conducive conditions. They do this with an Android/iPhone mobile app, which can communicate with the Incube over your phone through an Internet connection. Users will be notified if, say, the soil is lacking in fertilizers or the tree isn’t receiving adequate sunlight. The Bios Incube is currently in its second EVT (engineering-validation-testing) phase. The startup has turned to Kickstarter to raise funds to send it into production; the campaign has cracked the $40,000 mark of its almost $67,000 goal. Pledges of $385 and above earn a unit of the Bios Incube and additional perks depending on the specific pledge amount. You can choose to also be sent seeds of the Gingko, Birch, or Ash trees, or pick the kind of tree you want to grow yourself. The team plans on commencing its early bird deliveries in September 2016 and subsequent orders in November.